It’s been an exciting time in the Eastern conference and I’ve been paying particular attention to the Toronto Raptors this season. A large factor in the team’s achievements has been the successful pairing of DeMar DeRozan and Kyle Lowry. 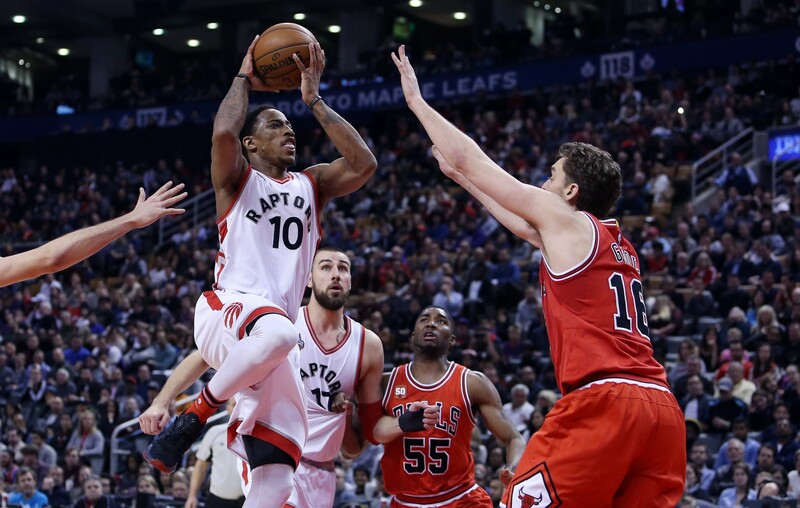 The Raptors have become a formidable opponent against other Eastern Conference teams such as the Cleveland Cavaliers, Chicago Bulls and Miami Heat. At the end of the season, DeMar DeRozan will likely be entering free agency as he is expected to opt-out of his rookie extension. Much talk surrounds the fact that many believe he deserves a maximum contract in the NBA after this season, which could be worth up to US$20 million per year. I suspect that the Raptors is home to him. At the tender age of 26, DeMar hasn’t peaked yet. He is a special basketball player with remarkable talent and ability to improve. 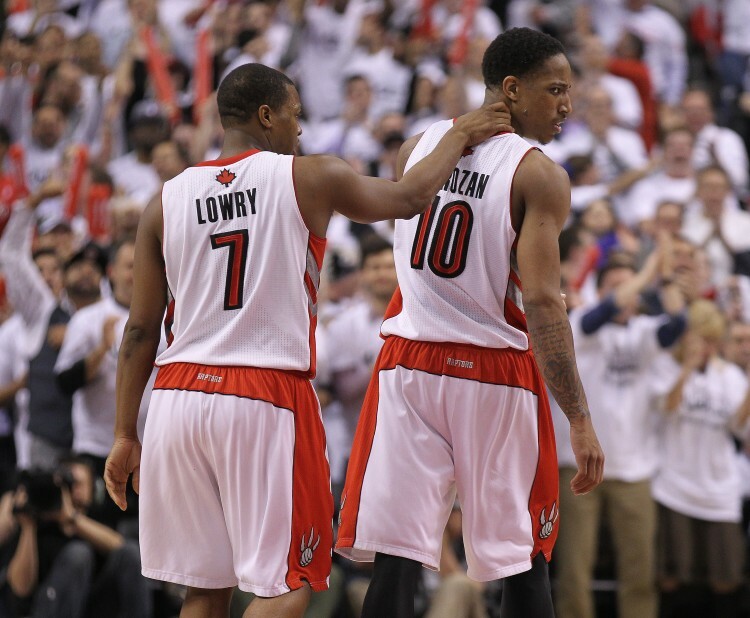 Any team would be over the moon to acquire DeMar but I suspect that the Raptors is home to him and they will pay to keep him close to Lowry – and take the Raptors to the next level of basketball in the North. Ahead of his game in London against the Orlando Magic, I had the chance to speak to him about the upcoming match, the Raptors development, the dynamic between him and Kyle Lowry and more. What are your thoughts ahead of the game against the Orlando Magic in London this week? It should be an exciting game. They beat us earlier this season, breaking our streak when we were 5-0. To just go out there and get a chance to redeem myself after the first time we played them is great. They’re an exciting young team that we’ll have to come prepared for. You’ve played in an NBA London game before. What did you make of the crowd back in 2011? My first time going to London to play an NBA game was definitely awesome. They didn’t cheer for just one side, they were cheering for both teams. This is something I will definitely remember and this is what made the game even more fun and competitive. I had a great time and I’m glad I’ll be going to represent the Toronto Raptors again. 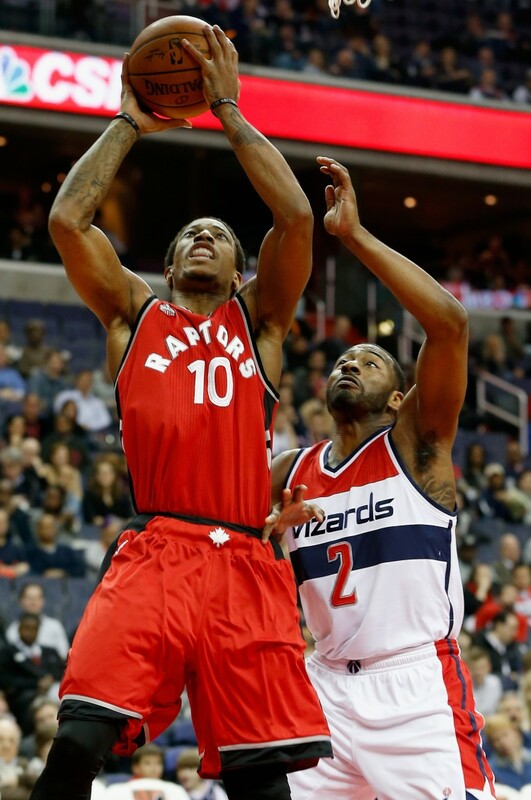 How have you assessed your own form and that of the Raptors so far this season? Progressing. We continue to get better every single time we step out on the court. We’re always figuring out ways to be better – as a team and individually. I think every day is a progression: towards the end of the season as long as we come together, all that matters is going to the playoffs. That’s what’s going to count. Given what you guys did last season, how did you reassess the expectations of the team? On a personal level, once you become an All-Star, did yours change too? Most definitely. You have to step your game up even more from a leadership standpoint. By pushing the guys towards success, individual-wise and team-wise, you gain that extra motivation to keep pushing mentally. Is there any particular aspect of your game that you’re particularly pleased with? Just tidying up a few things that I probably wasn’t so comfortable with last year. I’m getting a lot stronger conditioning-wise and continue to try to make that push to be a better overall player. How important and how realistic do you see your team reaching the NBA Playoffs? I think it is wide open for anybody. It’s all about who hits their stride when it counts, that’s the most important time. It can be anybody in the East honestly. Kyle Lowry and you are now considered one of the best back backcourts in the NBA. How has that relationship evolved on and off the court? It evolved organically. I cannot even pinpoint a moment where it happened. We just looked up and we clicked on and off the court. My family and his family get along really well too. You’re currently 7th in voting for the All-Star game. You’ve played some excellent basketball lately. You were player of the week last month. Is there any player currently ahead of you in the voting that you feel deserves to have more votes down such as Kyrie Irving, who’s second for guards in the East? When it comes to voting you have to understand that it’s the fans. They want to see stars – you can’t really get caught up in the voting sometimes. If you’re worthy of making it to the All-Star, you’ve just got to be worthy of making it. But when it comes to voting, it’s just who the fans. How excited are you about the All-Star game in Toronto and how important is it going to be for the city? I’m extremely excited to just have the world get a chance to really understand the type of city Toronto is. I think Toronto deserves the credit that it hasn’t got over the years. What do you think about Kobe Bryant being an All-Star for the final time in his career? I think it’s great to have one of the all-time greats in his last All-Star game. It’s a farewell, going-away type of game for him. All the players are giving their appreciation to him, playing his last All-Star game. You’re quite a big trainer fan. What is your favourite pair of trainers you’ve played in during your career? What three players in the NBA have the best collection? If I had to take one pair of shoes, I’d say any selection of the Kobe: that’s always been my favourite basketball shoe to play in and the most comfortable basketball shoe to play in. Three players that I think have great collections are PJ Tucker, Nick Young and Monta Ellis. 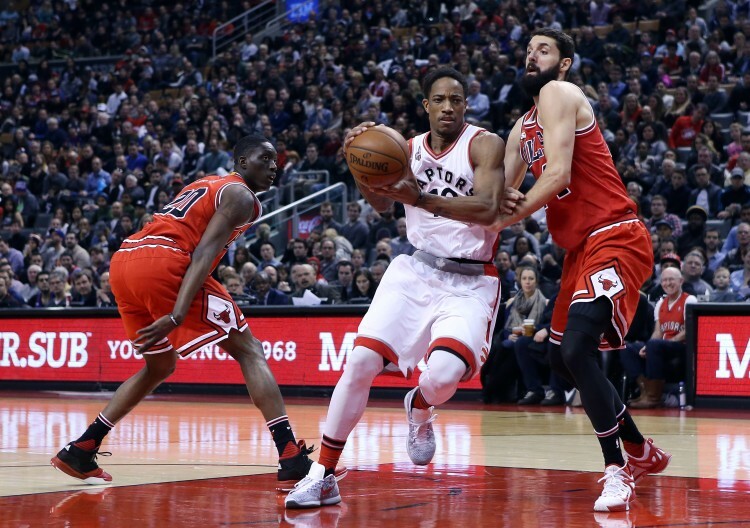 The Orlando Magic host the Toronto Raptors at The O2 in London on January 14 as part of NBA Global Games London 2016. TRUE Africa will be there LIVE at the game with the latest updates. It is not to be missed.